For a distinctive resonator guitar, look no further than the bronze Ozark Deluxe 'biscuit' resonator. It has a superb bronze coated brass body, engraved with a decorative Hawaiian scene. This superior Ozark resonator guitar delivers impressive volume and tone to match its enticing looks. Featuring a mahogany 12-fret neck, 19-fret rosewood fingerboard and slotted headstock, this brass-bodied resonator is a versatile instrument that responds well to rhythm or slide playing styles. Ozark has a reputation for outstanding instruments whose materials and specification are of the highest standard. 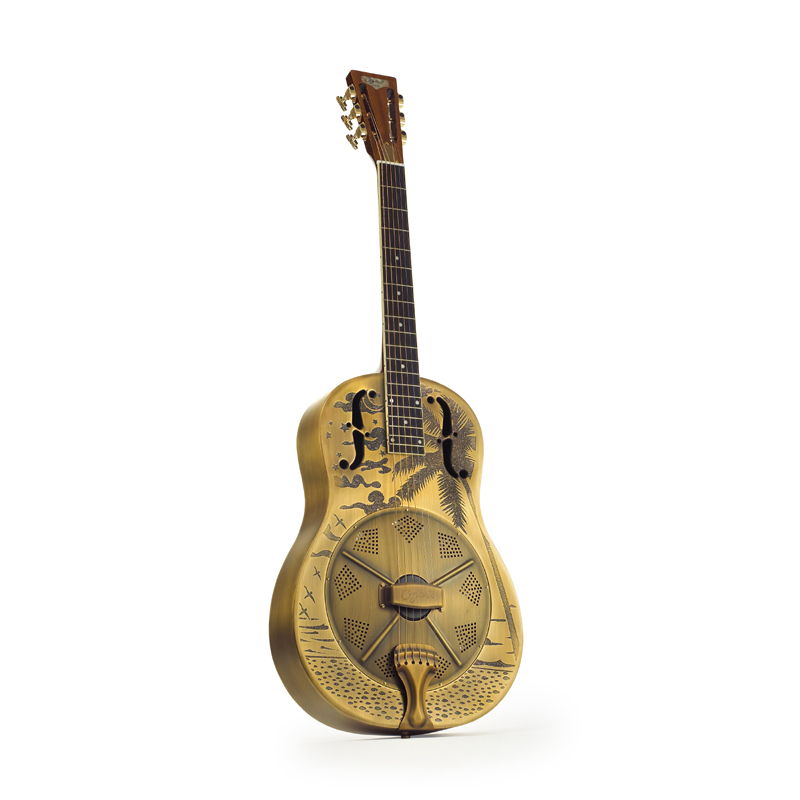 The Ozark deluxe bronze resonator guitar is just one of these great value quality instruments.